Yep, didn’t do that. I collected some good examples/ideas just need to figure out what I want to do for mine. Nope not this one either. I’ve played around with a few designs, my big hold up is what categories I want displayed. 2.5/4. Did nothing this last week of Thanksgiving..oops and another week I only did two 30 minute ones. 3/4. Did much better about walking Sam. I’m not sure we went over a mile on a single walk the second week in November but I got him out more. No. I read a number of posts/guides on photography and took one Skillshare class (this one), though it was not technical and I need technical. No. 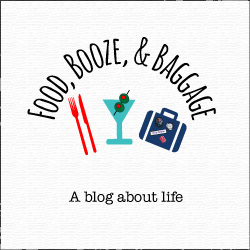 I started two photo editing classes (but have not finished) and restarted this Illustrator course and the project that goes with it. For the Choose Your Own Adventure Challenge, the theme was “Organize”. I was able to complete this one! 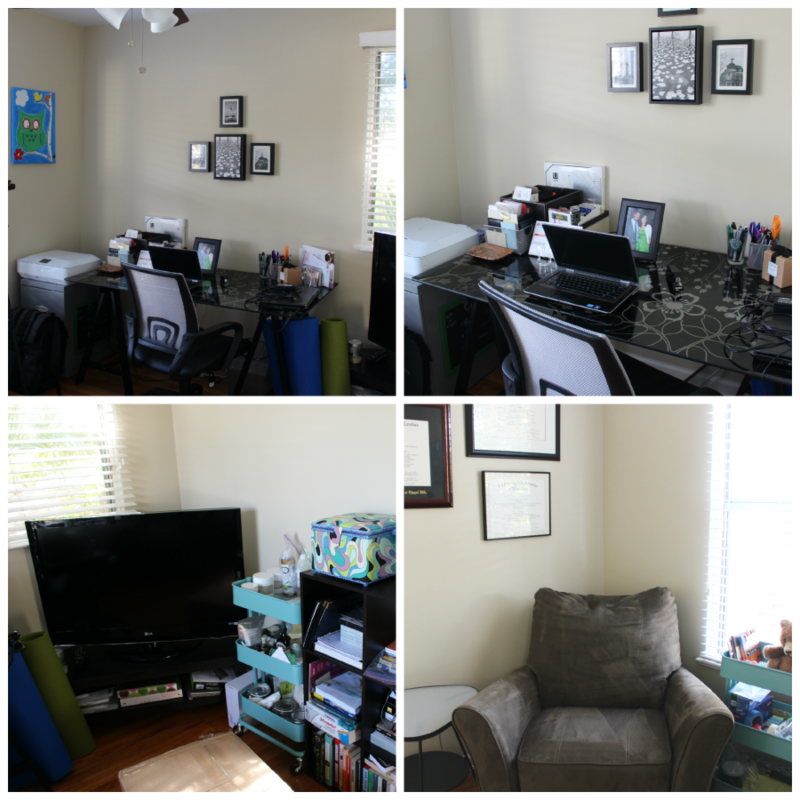 Ordered this chair (P put it together), hung pictures, and finished unpacking a few items…still not perfect but much better! Oh, that big box? It’s the the coffee table I’ve been waiting on since September, and it’s not what I ordered! I’m so upset over this and still waiting on the Etsy shop to reply about the problem. Other than the box, I think we could use some more pictures, and I need a bit more organization. Still, it is a much more useable space now! Not the most successful November, but onto a new month. 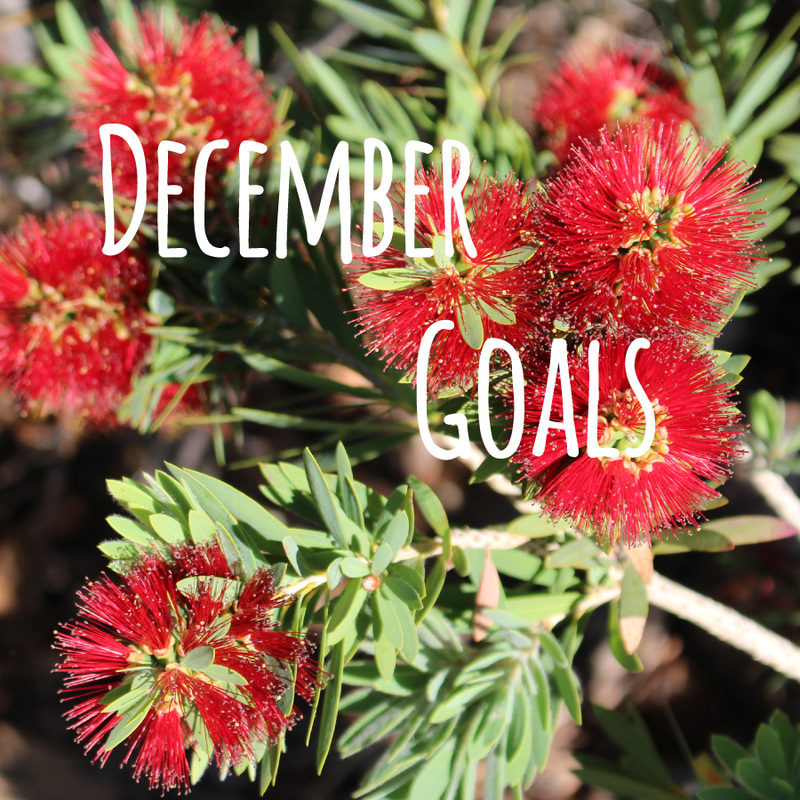 I’m linking-up with Melyssa at the Nectar Collective to share my monthly goals. 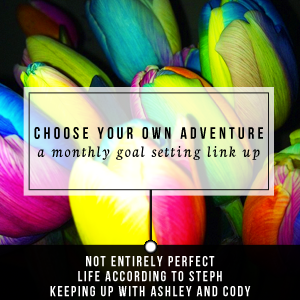 December’s Choose Your Own Adventure Challenge is “Simplify”. P and I don’t over do the whole Holiday thing so nothing really there. I’m going to choose to try to de-clutter my personal inbox and unsubscribe, unsubscribe, unsubscribe. It would be nice to start the new year with less electronic clutter.